Wireless networks are those computer networks that use electromagnetic waves instead of wires in order to carry signals over the various parts of the network. Wireless networks which run over other wireless networks often utilize the lower layer networks to provide security and encryption. Stand-alone wireless networks either provide their own security and encryption features or rely upon VPNs (Virtual Private Networks) to provide those features. In many cases, multiple layers of security and encryption may be desirable. Wireless networks belong to the fastest growing technological areas under telecommunications. The widespread adoption and popularity of wireless communication systems is a result of its many advantages over wired systems. The need for wireless networks arose from the merits of both mobility and cost savings. Costs are reduced because the wiring installed is very little, if at all it is needed. The time needed to deploy such networks is drastically lesser than that of wired networks. A wireless solution is perfectly suited for locations where cabling is prohibited, or wiring is difficult to install, such as heritage buildings or in areas near rivers. Wireless networks are classified in various ways. 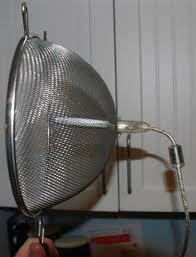 Some wireless networks are fixed, meaning that antennas do not move frequently. 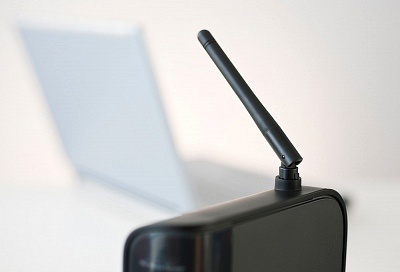 Other wireless networks are mobile, meaning that the antenna can move constantly. The major types are classified in the passages that follow, based on their ranges and the technology used. In a wireless personal area network, devices are interconnected within a small area like a room. The Bluetooth protocol is an example of a radio technology that is used in short ranges, usually of some meters. For example, Bluetooth is used to wirelessly connect a headset to a PC or laptop. The Infrared Data Association (IrDA) specifies protocol standards for data transfer using infrared rays in Wireless PANs. 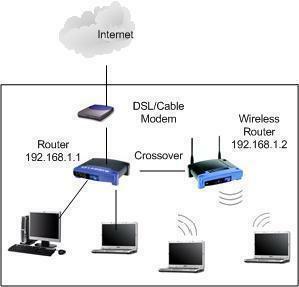 Wireless Local Area Network is the wireless implementation of local area networks (LANs). Data is transmitted between computers by using radio waves sent across areas like large homes, office areas or schools. The wireless LAN protocols are standardized under the IEEE 802.11 series. Wi-Fi, a standard for WLANs, is widely used for networking personal computers and the Internet. The Wi-Fi technology brand, which is owned by the Wi-Fi Alliance, is used to certify products to establish interoperability between the products using IEEE 802.11 standards. Wireless Metropolitan Area Networks connect several Wireless LANs together. The IEEE 802.16 Standard is used for compliant implementations of Wireless MAN. WiMax, which stands for Worldwide Interoperability for Microwave Access, is an example of such an implementation. The coverage can reach up to a radius of over 30 miles around the WiMax tower. MMDS (Multichannel Multipoint Distribution Service) is a broadband wireless MAN technology that uses point-to-multipoint transmission using Ultra High Frequency (UHF). Its range can reach up to 70 miles. LMDS (Local Multipoint Distribution Service) is another point-to-multipoint technology that uses microwaves and reaches a shorter range of up to 5 miles from the base station. HSCSD (High Speed Circuit Switched Data). This is a specification for data transfer over GSM networks. GPRS (General Packet Radio Service).This is a radio service designed to run on the Global Systems for Mobile (GSM), which is a global standard for cellular communication. CDMA (Code Division Multiple Access).This refers to the several protocols of the 2G and 3G wireless communications. The CDMA-2000 1xRTT, a 3G wireless technology based on the CDMA platform, is widely used in cellular and data communication networks. HSDPA (High Speed Downlink Packet Access).This is an enhanced 3G mobile communication protocol that allows Universal Mobile Telecommunications System (UMTS) networks to facilitate high data transfer speeds. EVDO (Evolution-Data Optimized).This is a telecommunications standard for using radio signals to transmit data for broadband Internet access. With the help of both Code Division Multiple Access (CDMA) and Time Division Multiple Access (TDMA) technologies, it maximizes data exchange speeds. EDGE (Enhanced Data rates for GSM Evolution).This is a global radio-based mobile data transfer standard that facilitates high speeds of up to 384 Kbps in packet-switched mode. WiFi =/= wireless fidelity. Google it, Common misconception. 405 queries in 0.569 seconds.